Cerebrospinal fluid (CSF) total prion protein (t-PrP) is decreased in sporadic Creutzfeldt-Jakob disease (sCJD). However, data on the comparative signatures of t-PrP across the spectrum of prion diseases, longitudinal changes during disease progression, and levels in pre-clinical cases are scarce. 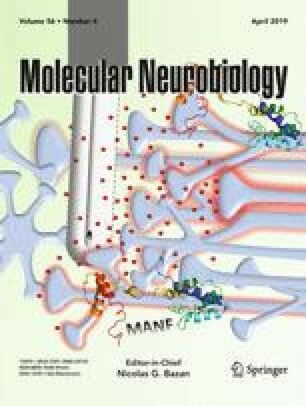 T-PrP was quantified in neurological diseases (ND, n = 147) and in prion diseases from different aetiologies including sporadic (sCJD, n = 193), iatrogenic (iCJD, n = 12) and genetic (n = 209) forms. T-PrP was also measured in serial lumbar punctures obtained from sCJD cases at different symptomatic disease stages, and in asymptomatic prion protein gene (PRNP) mutation carriers. Compared to ND, t-PrP concentrations were significantly decreased in sCJD, iCJD and in genetic prion diseases associated with the three most common mutations E200K, V210I (associated with genetic CJD) and D178N-129M (associated with fatal familial insomnia). 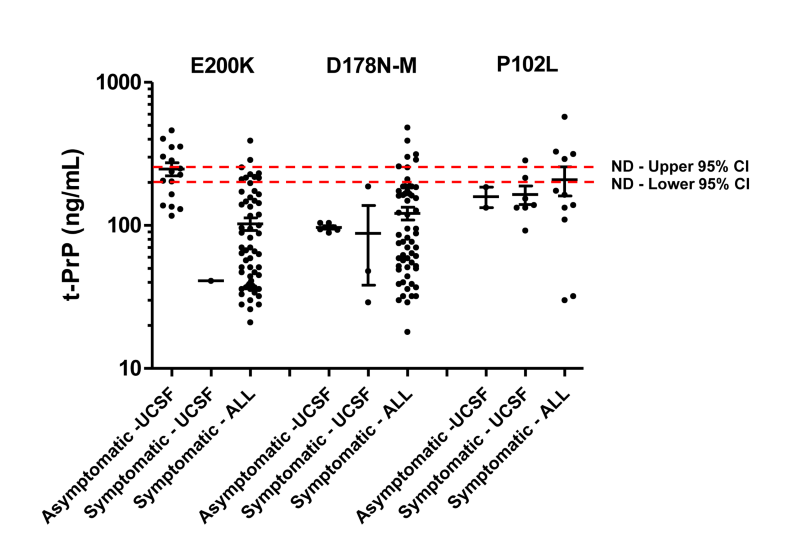 In contrast, t-PrP concentrations in P102L mutants (associated with the Gerstmann-Sträussler-Scheinker syndrome) remained unaltered. In serial lumbar punctures obtained at different disease stages of sCJD patients, t-PrP concentrations inversely correlated with disease progression. 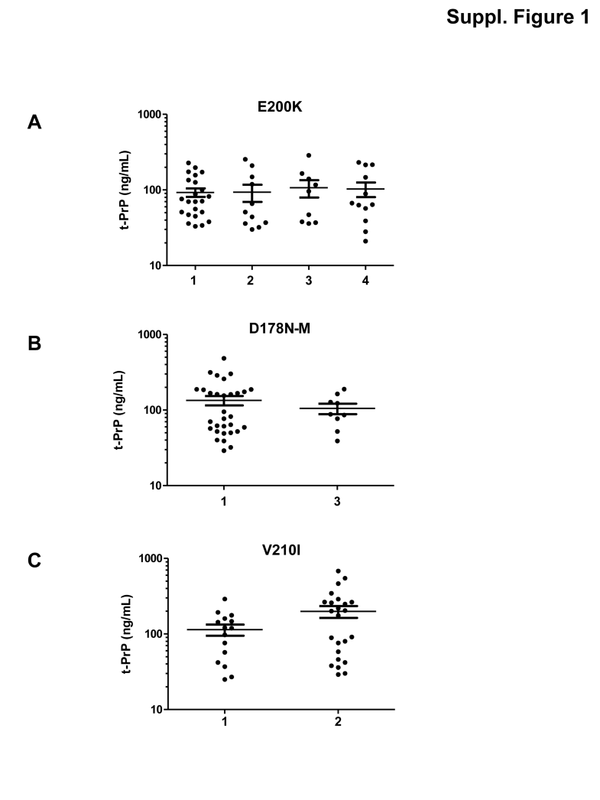 Decreased mean t-PrP values were detected in asymptomatic D178-129M mutant carriers, but not in E200K and P102L carriers. The presence of low CSF t-PrP is common to all types of prion diseases regardless of their aetiology albeit with mutation-specific exceptions in a minority of genetic cases. In some genetic prion disease, decreased levels are already detected at pre-clinical stages and diminish in parallel with disease progression. Our data indicate that CSF t-PrP concentrations may have a role as a pre-clinical or early symptomatic diagnostic biomarker in prion diseases as well as in the evaluation of therapeutic interventions. Anna Villar-Piqué and Matthias Schmitz contributed equally to this work. Inga Zerr and Franc Llorens are equal senior contributors. The online version of this article ( https://doi.org/10.1007/s12035-018-1251-1) contains supplementary material, which is available to authorized users. We thank Silja Köchy for indispensable technical assistance. AV-P, MS, IZ and FL designed the study. AV-P, MS and FL performed experiments. AV-P, MS, AK, IZ and FL analysed data and interpreted the results. IL, OC, CS, SS, AL, AP, IS, IF, EM, D.Z, MP, IB, MC, SJC, MDG, RS-V and IZ contributed to samples and/or technical expertise. FL and AV-P wrote the manuscript draft. All authors critically revised the manuscript and approved its content before submission. This study was funded by Robert Koch Institute through funds from the Federal Ministry of Health of Germany (grant no. 1369–341) to IZ, by the Spanish Ministry of Health - Instituto Carlos III/ Fondo Social Europeo (CP16/00041) to FL. This project has been funded at 65% by the Fondo Europeo de Desarrollo Regional (FEDER) through the Interreg V-A España-Francia-Andorra (POCTEFA 2014-2020) programme. The study was conducted according to the revised Declaration of Helsinki and Good Clinical Practice guidelines, and was approved by all local Ethics committees. All study participants or their legal guardians provided written informed consent. Dr. Lachmann reports he is a representative of AJ Roboscreen GmbH, Leipzig, Germany.